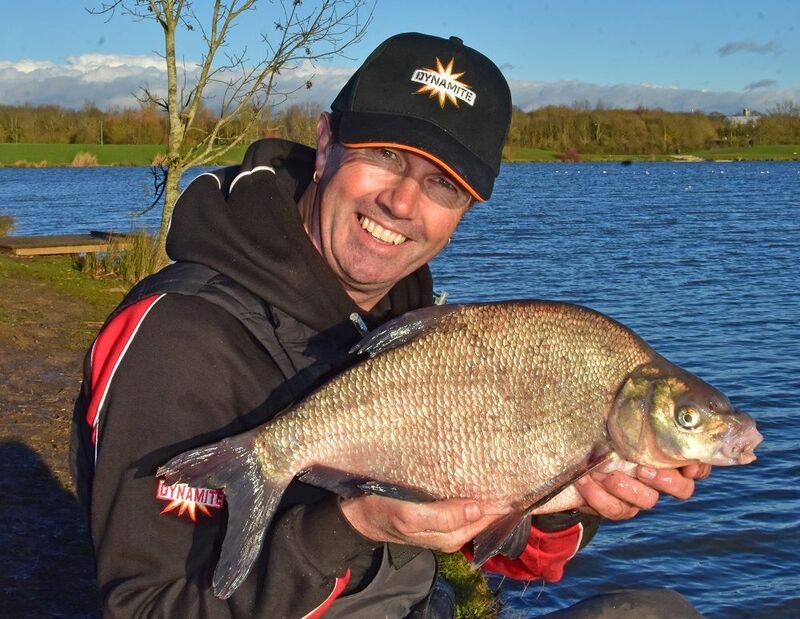 Targeting bream on large stillwaters can be a bit hit and miss in winter so you need to put everything in your favour to stand a chance of putting yourself in the frame. 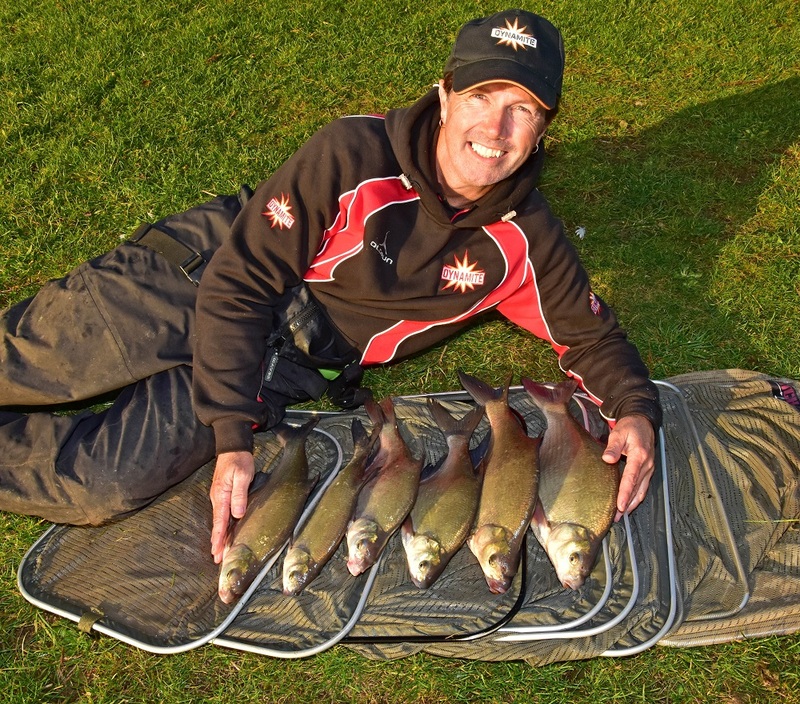 Big pit, feeder fishing specialist, Ian Smith is here to give you his simple steps to catching nets of slabs…. 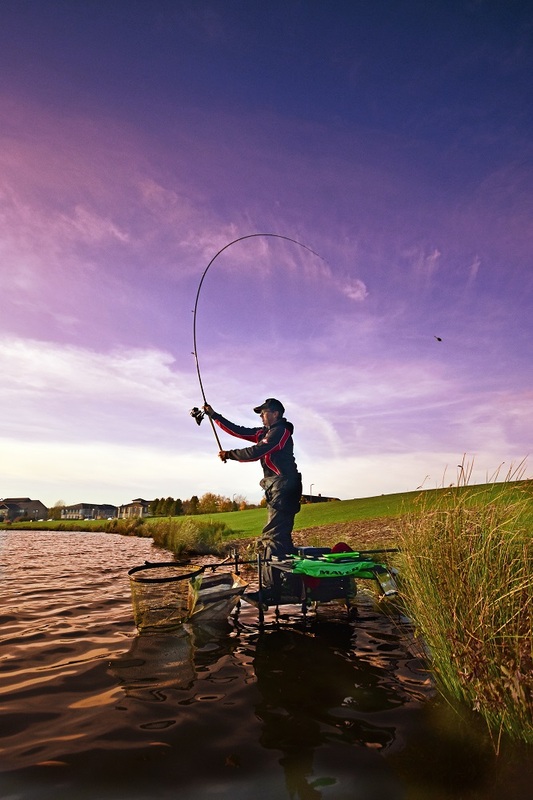 In winter the water is usually running clear and so long-range casting is the key to success. If there’s a good wind, it is always worth following it as the bream will. But regards Furzton, the best pegs are on the point as it’s known. This is where a lot of the carp anglers fish so it sees a lot of bait in this area. With a bivvy slap bang in the middle of these six swims, Ian headed for a peg a few yards to the right of the lake’s large sluice. “This morning it was minus-two, so I headed here as this is a noted area of deeper water,” the 51-year-old Bedford rod explained. “I’m looking to fish an area around 70-reel turns, well out into the main bowl of the lake. But, it is better to fish to ‘your’ abilities, so if you have to fish closer to remain accurate, so be it.” The water Ian was fishing into was around 10-feet deep, so a perfect area for a few fish on such a cold, clear, crisp day…hopefully! He also looks for an area of flat hard gravel, silt or clay. Bream dislike feeding in and around weed. They are quite user-friendly in that way at least! 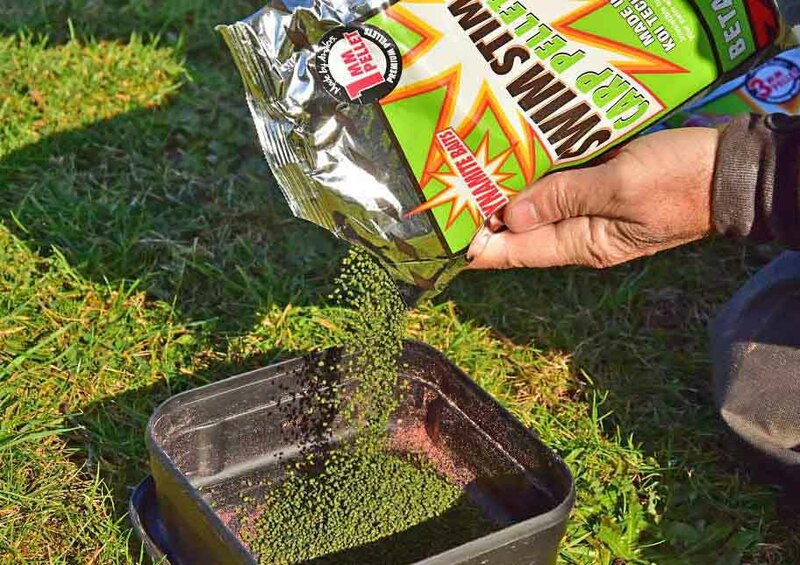 To further increase the attraction, flavour and pulling power of the loosefeed, as well as the ‘tackiness’ of it, he likes to add a generous glug of Dynamite’s Liquid Betaine Pellet liquid. 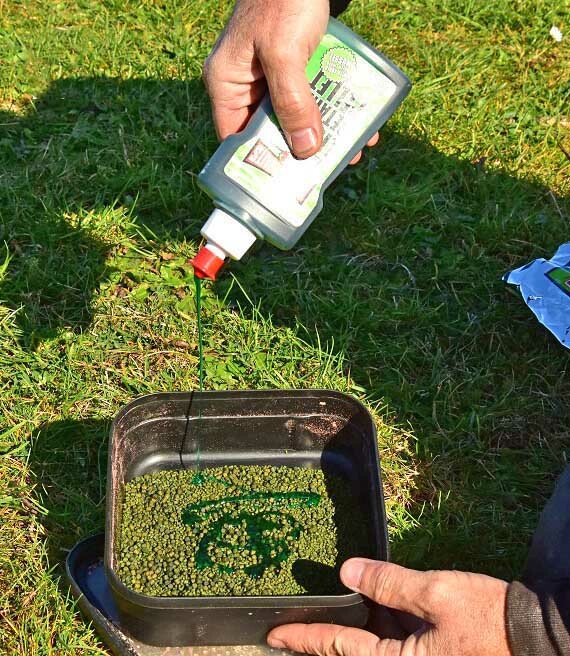 To prepare the pellets, Ian adds both sizes to a bait tub, mixes them then adds the liquid. He then just to say covers them with water before leaving overnight to soak. “I can’t see the point of soaking your pellets only to throw away the resulting soaking water,” he said. “To me you’re throwing away a large amount of the pellet’s attractors and flavours. It’s the same as keeping the liquid when you make your own hemp. The ‘gravy’ is often the best bit!” On the hook, Ian is a big fan of Dynamite Baits’ Match Mini boilies. He has found in the cold water the Pink Krill work best, while the White Amino are great in summer and the Betaine Yellow are a great change bait. Loading his large 45g Preston Method feeder, being a Tool Maker for a living, Ian drills out the centre of these feeders so he can use a Guru X-Safe stem, fitted with White Hydrolastic. “I do it this way as it’s just a confidence thing. I just like how this whole setup works,” Ian explained. “I then cast every three to four minutes in the first hour, even in the winter. Furzton is a big lake, so you need to get a bit of bait down to attract the bream. After this, I will cut things down to every 10 to 15 minutes, although, every day is different.” With a couple of fish coming to the net in the first hour, things were looking slow but positive. Ian then had to wait a whole hour for his next fish. This prompted him to take the line clip off and cast five turns further, to see if the fish had backed off the feed. “Working an area – up to five reel turns past or closer to me – is a tactic I’ve employed for years and it very often works well, when the fish are being a bit skittish, milling around and not wanting to feed heavily, like today,” he added. Sadly, it didn’t work, so it was back onto the original area. With another four-fish coming in the next 90-minutes, Ian had a hook pull! Things were looking grim and that’s how it stayed unfortunately. And, with the sun starting to set, the air temperatures plummeted and we decided to call it a day. Although the weather hadn’t allowed us to see Furzton in her best light, it was obvious that the bream are coming back with vengeance and starting to put weight back on. It’ll only be another year or two before it’s back to its old self. And as ‘they’ say, if somebody sticks by your side through your worst times, then they definitely deserve to be with you through your good times. No comments, start a conversation and make a comment? © Dynamite Baits 2019. Dynamite Baits. No content may be reproduced without permissions.